Dakota Gordon is a 21-year-old self-taught photographer from Sydney, Australia, with a skill for capturing innocence, vitality and mystery in her portraits. Looking through Dakota Gordon's portfolio, it's hard not to be drawn into the mystique and playful enthusiasm of her subjects. 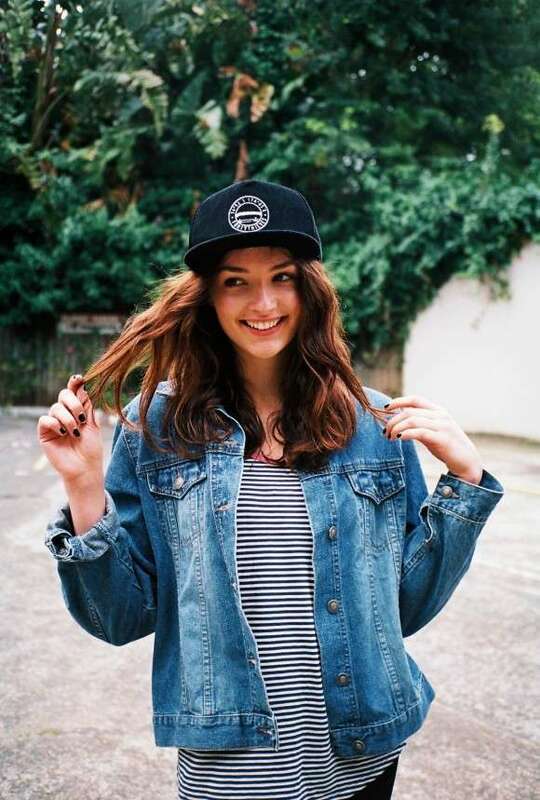 One particularly engrossing image sees a youthful brunette in a denim jean jacket, tomboyish baseball cap, and a big smile, her hand twirling locks of her hair as she looks off camera. Another sees a fresh-faced Mischa Barton lookalike seated on a red bedspread, clad only in a long white t-shirt. She looks into the camera forlornly, her face a mixture of naiveté and ennui. Both images serve as primary examples of the kind of portraits Dakota Gordon excels at capturing: images that project the uncertainty and indifference of 21st century youth, combined with a dash of hopefulness. She may be new to the world of photography, but it won't be long before Dakota Gordon's name and aesthetic become a sought after commodity in the alternative fashion media.